Predator 4, which some are simply calling The Predator, is going to be a massive event film unlike any seen in the franchise thus far. Shane Black promises that in a recent interview as he hits the road to promote his upcoming comedy The Nice Guys, which is in theaters later this month. The director, who is also known for Kiss Kiss Bang Bang and Iron Man 3, has now confirmed that this gargantuan blockbuster he's planning will being shooting this October. Director Shane Black was talking with AFP when he made the announcement. The movie won't be in theaters until March 2018, which gives the filmmaker ample time to make the best Predator movie to date, though many will argue that there is no topping the original Arnold Schwarzenegger classic from 1987. The Predator reboot story is being kept tightly under wraps, though it is confirmed to be a sequel to the first movies, which include the original, 1990's Predator 2 and the 2010 entry Predators. Though, they will probably not touch on the Alien Vs Predator movies, which the current Alien sequels also seem to be ignoring. Shane Black does insist that this next installment will be considerably 'bigger' than any of the previous five films. Says the filmmaker. "To the best of my knowledge, the train is rolling. It took some convincing because they've been putting out these movies all along with a $50-60 million budget, and they all had a guaranteed return. But there was never the sense that it was an event picture. It was more like 'I understand another Predator movie is coming out -- maybe we'll see it maybe we won't.'" The original Predator followed a US Special Forces unit in Central America who square off against an alien that is hunting them down for sport, and will keep their skulls as trophies. The movie was a box office hit, but the sequels have never captured the blockbuster magic of the first installment. Shane Black, a screenwriter at the time responsible for Lethal Weapon and The Last Boy Scout, actually starred in the original movie opposite Schwarzenegger, playing radioman Rick Hawkins. The new movie will be set in present day, and there have been ongoing discussions with Arnold Schwarzenegger to reprise his role as Major Alan "Dutch" Schaefer from the first movie. The legendary action icon has not yet been confirmed. Black only says that's something that is 'still being looked into'. 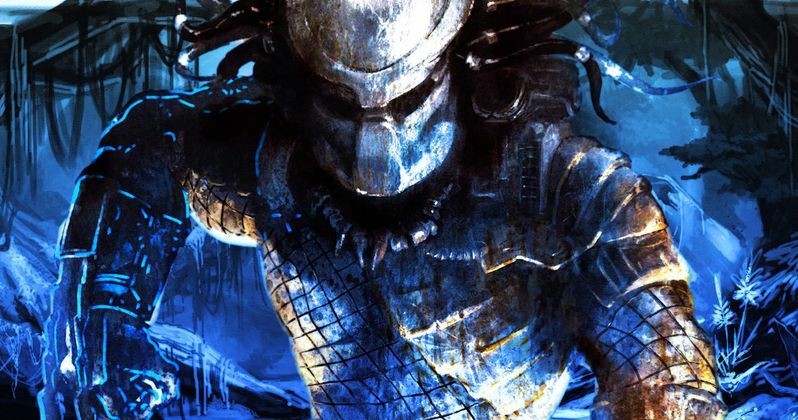 Shane Black went onto say that Predator 4 will have an old school flavor in tune with original producer Joel Silver's vision. Silver currently serves as the producer on The Nice Guys, and also collaborated with Black on Kiss Kiss Bang Bang. The filmmaker says that the tone of Predator 4 will be the same as the first, only more epic in scale. No casting has been announced at this time, but rapper 50 Cent claimed a few weeks back that he had joined the production.